To advise and assist the Rector on the management and organization of activities related to students and postgraduate students (hereinafter referred collectively to as students and students): ideological education; records management; to implement the policy regime, reward and discipline; support for students and other activities. Develop and submit to the Rector for approval the program of political education, ideology and moral qualities for learners; student management work. Prepare and submit to the Rector the regulations on concretization of student management regulations of VNU-HCM, Ministry of Education and Training applied in the University. Propagandize, organize, implement the political education - ideas, traditions, revolutionary ideals, laws, ethics, lifestyles and skills for students; organizing and disseminating in the students the policies and guidelines of the Party and the government's policies and laws, the regulations and directives of the education and training sector, VNU and the University. Organize the "Student Citizen Week" for students at the beginning of the year, the beginning of the course and the end of the course. Lead the reception and support of the successful candidates for the training system. Management of the activities of the class, Study Adviser - homeroom teacher, class teacher. Lead and coordinate with the functional units to organize the graduation and graduation ceremonies for the training system of the University. Management of student records, statistics, data synthesis (under the management). Certificate papers for students. Provide documents and information about the work of students to agencies and units outside the University when the direction of the University. Implementing the government 's regulations and policies on scholarships, social allowances, education incentives, training credits and other regimes related to students. Collaborate with other agencies to find, manage, exploit and distribute scholarship resources, off-budget support for students, and sources of support for student activity. Focal point and organize the evaluation of training results of students. Coordinate with other departments to monitor the progress of each student, statistical data SV ... for reporting and evaluating students during the training. Focal points for commendation and disciplinary recommendations for students in accordance with Student Work Regulations. Collaborate with related units to solve problems related to students. Assist the units, coordinate student activities in academic research, academic activities, the Olympics subjects and other learning activities for students. 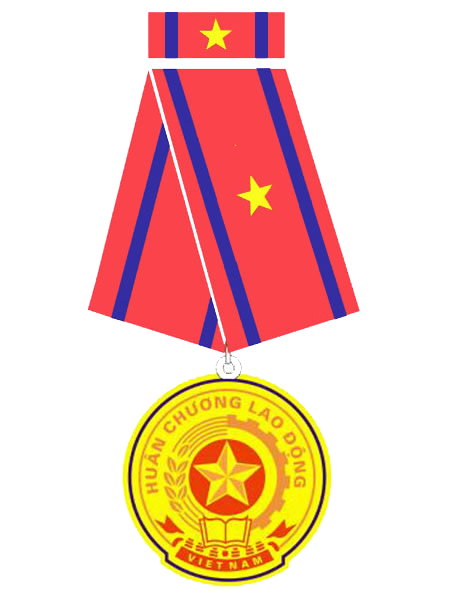 Create favorable conditions for students to participate in the Party organization and mass organizations; coordinated with Ho Chi Minh Communist Youth Union, Student Association and other socio-political organizations involved in student movement activities, creating conditions for students to have training and striving environment. Regularly grasp and synthesize the situation of students' thoughts, promptly reflecting with the Party Committee and the Management Board and actively proposing undertakings and rational measures to solve related problems. Organize periodical talks between the students and leaders about the training activities of the University. Take the initiative in coordinating and cooperating with other units and enterprises to grasp the demand for recruitment and employment; organize student support activities; keep track of students who have jobs after graduation. Focal point, organize, manage activities to support students (skills, jobs, internships, professional support ...). Coordinate with the academic advisors, homeroom teachers and other units to assist students in developing and controlling their learning plans to meet the University's goals and outcomes. Lead the support of students at risk of learning disability. Build and develop the alumni organization of the University. Carry out the work of resident and out-of-school students in accordance with regulations to ensure that students have good living, accommodation and travel conditions. Organize and facilitate students to participate in fine arts activities. Organize and carry out the work, projects related to student work assigned by the President. Printing staff officer card, student card. Monitor school health work. Maintain the service activities for students as types of insurance activities, health care for students, etc. Focal point for evaluating students' annual work according to regulations of MOET and VNU-HCM.